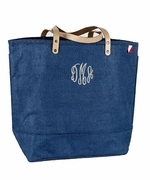 Stylish jute tote bag monogrammed or personalized. Totes are the in-thing right now and you probably have a whole range in your closet. But, there is always space for one more, especially when it is as versatile as this one! Manufactured from jute which is strong and durable and eco-friendly. Our bag sports a classic shape with stylish mini pompom accenting the top edge of the tote. Handles are web woven, open tote. The ample size makes it ideal to fill with all the goodies you need for a day on the beach or shopping at the outlet. Long handles allow for easy carrying over your shoulder. 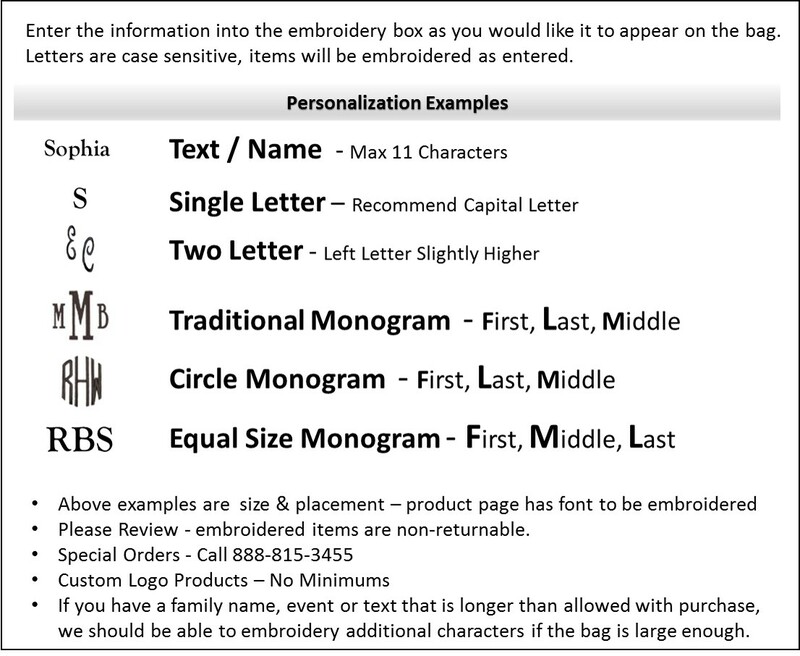 Add a personal touch and allow us to embroider your initials. Purchase for a graduation gift, wedding or shower present, or thank you gift. The stylish jute tote bag measures 13" x 14" x wide 5.25" across bottom. PVC interior backing, inside zip pocket. Laminated interior works nicely for a beach tote, pool or outdoor tote. Open tote.